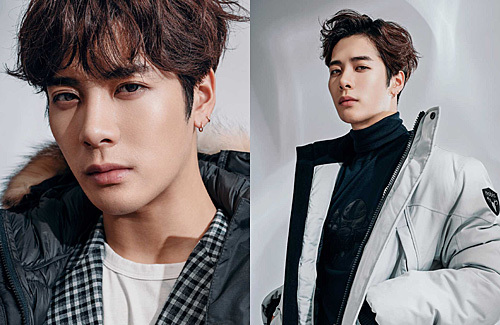 Reminiscing about his past, Korean boyband GOT7 member Jackson Wang (王嘉爾) shared stories from his childhood and revealed the experiences that ultimately led him to where he is today. Only 23 years old, Jackson has taken K-pop fans by storm and is currently building a growing presence in China. While in high school, Jackson was once a member of Hong Kong’s national fencing team and competed in the Summer Youth Olympics in 2010. Although he made remarkable achievements in fencing, Jackson eventually moved to South Korea to pursue a career in singing and dancing. Coming from a family of athletes, Jackson was initially hesitant in leaving fencing in order to pursue his music career and rejected an offer in 2008 from a talent agency. Not wanting his life to be full of regrets, Jackson ultimately accepted another offer to become a K-popstar trainee. With his athletic build from years of practicing fencing and vocal abilities, Jackson eventually completed his two-year training and was asked to join GOT7 under JYP Entertainment. Four years into his music career after debuting in GOT7, Jackson decided that it was time to establish a stronger identity for himself as a singer. As he is one of seven members in GOT7, he felt that the group’s music may not necessarily reflect who he is as an individual. After successful solo appearances on various Mainland Chinese variety shows, Jackson’s popularity grew in China. Jackson saw a great opportunity to grow his solo career in China. Last year, JYP Entertainment established a dedicated management team called Team Wang to help manage Jackson’s solo activities and development in China. Enjoying the process of writing his own music Jackson is someone who likes to be involved in the entire process of making a song or music video – from writing his own lyrics, to auto-tuning, to sound mixing, and editing the final music video for his song. Although Jackson released his singles “Papillion” and “Okay” last year with much fanfare, the critical reception has been mixed. Unable to control others’ feelings and comments, Jackson believes that the arts is very subjective. Having once paid attention to negative comments before, Jackson learned that he should no longer focus dwell on them too much. This article is written by Su for JayneStars.com. wow.. .a scholarship to Stanford University! Impressive. I love his attitude for his future! Keep it up Jackson! @wm2017 I am starting to watch Jackson’s recent appearances in Mainland Chinese variety shows. He has a very bubbly presence and great sense of humor. But can’t help feeling that he is like a chameleon and changes his demeanor on each show depending on the mood he is trying to create. Jacqueline Wong’s Friendship with Sammi Cheng Was Premeditated?